I don’t understand the idea or the attraction that some people have with ear plugs, but I’m not going to criticize it. 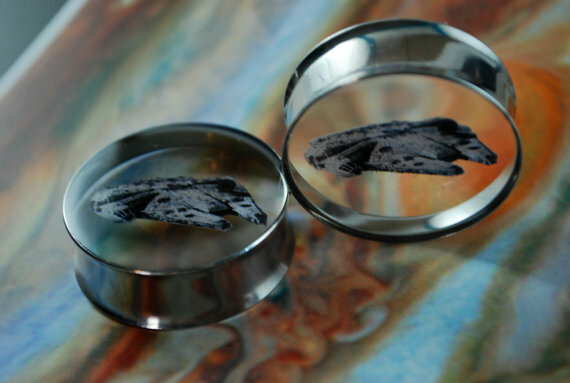 There are a couple of Millennium Falcon related plugs are available on Etsy. The first are these blueprint plugs by GameLinks in various sizes. It’s an often used image but I think that they’re an unusual and relatively cheap addition to my collection. They have quite a lot nice genre designs for plugs and cufflinks in their shop. 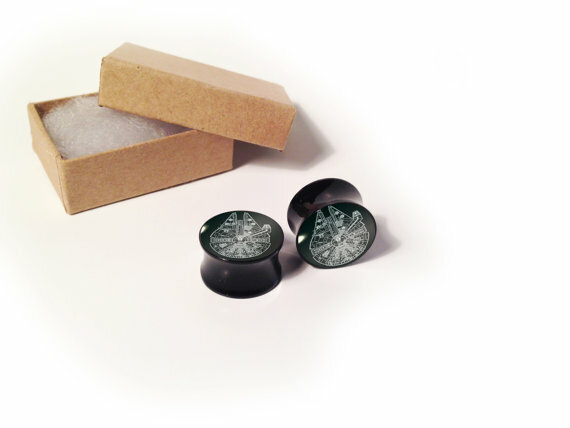 The next pair of plugs are these “3d” ones by Man on Mars. This entry was posted in Uncategorized and tagged Millenium Falcon, Millennium Falcon, Star Wars. Bookmark the permalink.